Wapping is situated in the London Borough of Tower Hamlets between the north bank of the River Thames. The area is a mass of trendy warehouse conversions many with bare brick walls, stripped-back timbers and river views as well as being famous for its ancient riverside pubs, the Prospect of Whitby and the Town of Ramsgate. It is well connected to the city centre with Wapping and Shadwell stations in Zone 2, whilst being on the Overground and connected to the Docklands Light Railway. 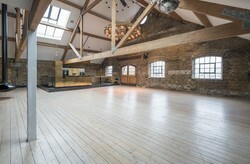 Wapping is also hoe to historic Tobacco Dock, a Grade I listed warehouse currently used as an event space. It's very popular for food and drink festivals.